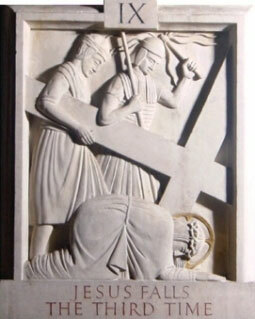 The Stations of the Cross is a fourteen step Catholic devotion, commemorating Jesus' last days on Earth. 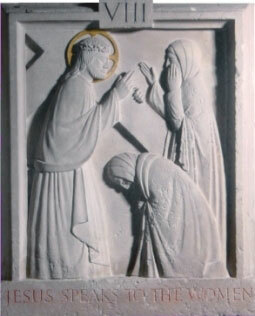 The stations focus on specific events on His last day, starting with his condemnation and ending with the laying in the tomb of His body. At each station the faithful mediate on the specific event from His last day, recite specific prayers and then move on to the next station. 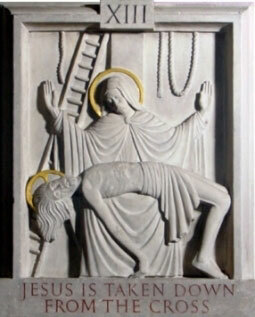 You will find the fourteen stations in all Catholic Churches, just look by the walls for images or icons. These devotions can be used by individuals or groups and can be used at any time of the year, but are particularly said on a Wednesday and a Friday during Lent. 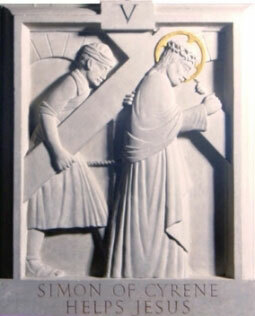 Please download a guide to the Stations of the Cross PDF booklet by clicking here. 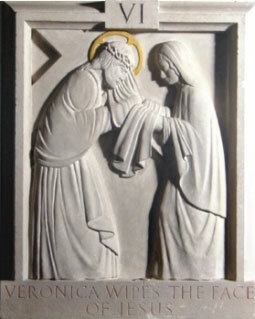 Joseph Cribb (1892-1967) designed and carved our stations (pictured below) in his workshop in Ditchling, Sussex in 1956. 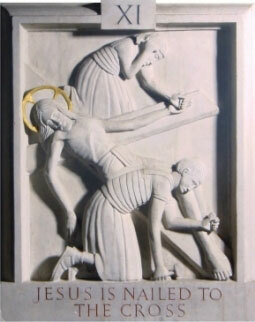 Joseph Cribb trained under Eric Gill (1882-1940) during 1906-1913. He then established his own workshop, often assisting Gill, but also creating his own inscriptions and sculptures. 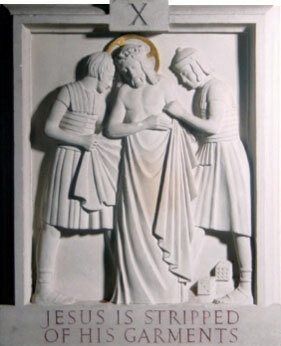 As well as carving the Plymouth stations, he made another eighteen sets for other churches across Britain, and one set for a mission church in Nigeria. 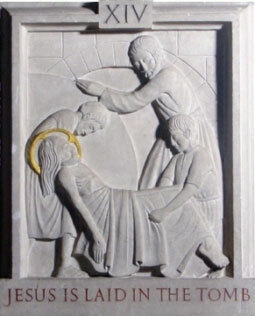 He also assisted Eric Gill in carving the Stations in Westminster Cathedral and carved those in the Catholic Church in Leatherhead to Gill's designs. Joseph and Eric became founder members of the Guild of St Joseph and St Dominic in 1920. 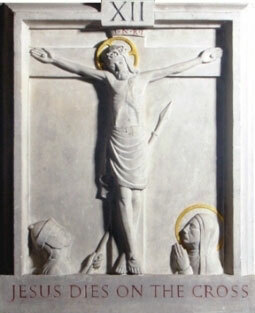 This was a community of Catholic craft workers, all lay members of the Dominican Order. Joseph remained a leading member of the guild until his death.